In his interview with FRONTLINE, Blakey calls the prosecution case against Lee Harvey Oswald “open and shut.” While he does not see Oswald as a Soviet, CIA or FBI recruit, he is careful to point out many of the unanswered questions regarding Oswald’s mysterious associations and possible ties to the mob. 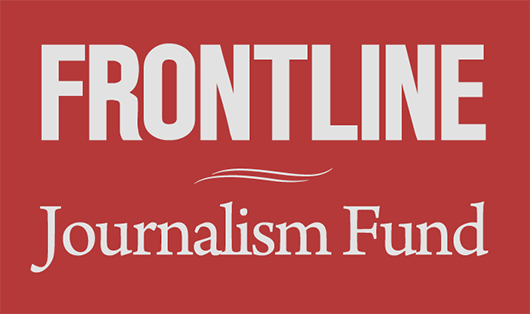 This interview was conducted in 1993 in conjunction with Frontline’s first broadcast of “Who Was Lee Harvey Oswald?” For this 2003 publication of the interview, Mr. Blakey has added a notation to those questions touching on the CIA, and refers the reader to a long addendum at the end of this interview that reflects his opinion on the CIA in light of current revelations. The ultimate judgment on Oswald as a recruited agent is that he was not—either by the CIA or by the Soviets. For example, if the Soviets had recruited him in Japan, the time and place to use him was in Japan, not to have him defect to Russia to make radios. That just is not what makes sense. Take a look at his character. The KGB conducted an investigation of him in the Soviet Union by the wiretapping, the bugging, the debriefing of all of his neighbors. None of this is consistent with Oswald having been recruited. Would the Americans develop a false defector program and put Oswald in it? When you look at Oswald’s life, he just doesn’t seem to be emotionally stable enough to be the kind of candidate that our people would recruit. We took very seriously the hypothesis that Lee Harvey Oswald was connected to the CIA or our intelligence services. When we went to the CIA files, we took very seriously the hypothesis that they had been edited in some way. We talked to the agents who had created them, we made sure that each of the agents was given a release from their secrecy oath and was carefully instructed that if they lied to us, there would be prosecution. We cross checked the references in files to see what would be in parallel files. It is impossible to prove a negative, but I’m always convinced that we had sufficient access to the files themselves, I particularly, in an unedited form. We had total access to the agents who prepared them. … The records are as they seem. 2003 Addendum: I now no longer feel comfortable with the conclusions I expressed here in 1993. I set out below the reasons for this judgment. CIA clearly did lie about the case. For example, Helms lied about the case. The CIA appear to have been not cooperative, to have put out false photographs of Oswald, to have claimed they had no photographs of Oswald. There were many cases where they seem to have tried to cover their tracks. You have to draw a distinction between the FBI and the Agency in the 1960s — and the substantial lack of candor between them and the Warren Commission — and the subsequent behavior of the agencies as they dealt with the congressional committee [in 1977]. Those who had a stake in what happened in 1963 and 1964 were no longer in control of the Agency. The people in the FBI and the CIA that we dealt with in my judgment were genuinely interested in the truth coming out. What was the FBI’s posture in 1963 and 1964? It was anything but cooperation and, frankly, certainly there were lies by omission. When it came time to analyze the candor that the Agency had with us, and the FBI had with us, it’s my judgment that it was difficult. Teeth had to be pulled, but in the end we had unlimited access. History seemingly writes with a crooked line. The best evidence of the non-involvement of our own intelligence services comes not from our investigations but the KGB investigations. 2003 Addendum: I now no longer feel comfortable with the conclusions I expressed here in 1993 in reference to the Central Intelligence Agency. I set out below the reasons for this judgment. In 1972, largely as a result of the investigations into military intelligence activities in the United States, the Defense Department destroyed all of the military intelligence files that they had about American citizens and things in the United States, which was shocking from the point of view of the committee. This general order resulted in the destruction of historically very valuable files. Most disturbing was the destruction by the Army intelligence of Oswald’s Army intelligence file. The suspicion immediately was that this was part of a cover up. We interviewed all of the officers who were responsible for the order to destroy it, and while we have the testimony of these individuals, we do not have the file. Again, our ultimate conclusion was that in the United States, more often than not, the better explanation for government action is not hob-nailed boots, but Keystone Cops. It’s incredible how our bureaucracy simply responds in a mindless way without any regard to the historical significance of what they have. We looked very carefully into the activity of a man named George de Mohrenschildt, a Russian, like Lee Harvey Oswald. He was a sophisticated man, a very articulate man, a world traveler, and George de Mohrenschildt and his wife befriended Oswald and Marina in this country and we explored very carefully whether he could have been a contact, an indirect contact, between the agency and one of its own agents, Lee Harvey Oswald. 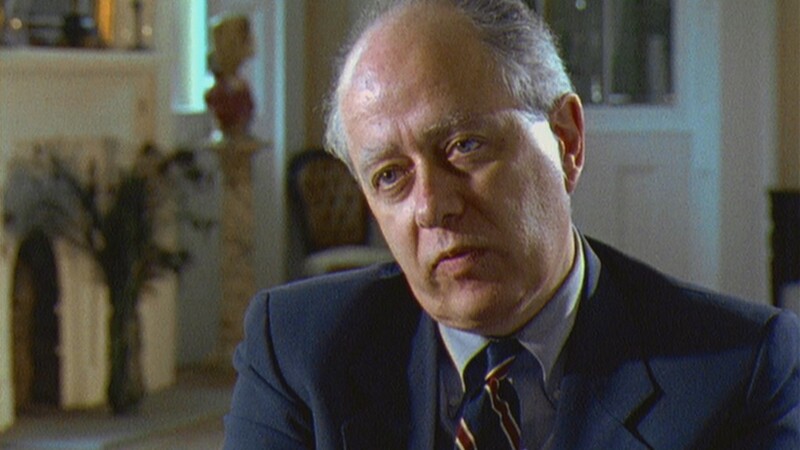 After a careful study, we were not able to establish that George de Mohrenschildt was connected to the CIA. It is unusual for the CIA or military intelligence to debrief Americans. That was something that the FBI should’ve done. In fact the FBI did make an effort, several, to talk [to] Lee Harvey Oswald in this country. So it’s not entirely true that he was not debriefed. He was very uncooperative with the agents. Indeed was very belligerent with them. We were deeply troubled by the way in which he came back. The government financed him, they got him a visa, and he came back to this country with great ease, the CIA then incredibly did not debrief him as such. In the end, we found this not to be significant. Our defector study of some 22 other American defectors indicated that it was not uncommon, to facilitate a return, indeed not uncommon that they were not even debriefed at any time. We drew therefore no sinister evidence inference, in light of the pattern of the general evidence. Oswald’s Marine career continued in El Toro. His activity included involving himself in Marxist literature. He continued to mature. Indeed he developed an interest in Fidel Castro. From the committee’s perspective this was significant. Was this man’s character being molded either by the Soviets or by our own intelligence community? Were our own people molding him? Why was no action taken against him? Why, when this came to the attention of his Marine superiors was action not initiated? This man was a man with a security clearance; this man was a man who had access to highly sophisticated materials; and he is now showing an interest in Marxism. In retrospect, I think — and this was the judgment of the committee — that our own people aren’t as efficient as we might think they ought to be. That more often than not, it’s Keystone Kops, and not stainless steel efficiency. We drew ultimately no sinister inference from our own people’s failure to take action, or even to investigate Oswald in any way. It’s an easy case. The prosecution case against Oswald is open and shut. If he’d shot his brother-in-law in the back seat of a convertible, and not the President of the United States, he would have been tried, convicted and forgotten in three days. I’m a former federal prosecutor, I’ve been involved in the investigation and prosecution of criminal cases for better than 30 years. To be sure, a defense counsel could have raised issues. But the jury would have been convinced beyond a reasonable doubt. His rifle did it, to the exclusion of all others. He was in the Book Depository with the rifle. He fled the scene. He killed a police officer. His statements to the police are false. His palm print is on the gun. Saying that Oswald is unstable is not the same thing as saying that he was insane. He was not. But to say that he’s unstable is to say that he does not have the kind of personality that includes dependability, loyalty, bonding to others etc., all of which are characteristics of someone who you would want to use in a high-risk venture, and all intelligence work is a high-risk venture. Lee Harvey Oswald was a loner. He was volatile. He was violent in dealing with his wife and with other people. He had gone through enormous personality changes in his life. Raised an American, he becomes a Marxist; he leaves to go to the Soviet Union. He could not hold a job well, he did not interact with other people, his wife, all of these characteristics indicate that he would not be trustworthy, loyal, honest, all the Boy Scout attributes that government agencies, whether they’re in the Soviet Union or the United States, look for in people in whom they put great trust. Here we have a situation where Sylvia Duran testifies that Oswald presented the application to her, in person, and signed it in person and the application has his photograph on it; and it is unquestionably his photograph. It would be remarkable thing if she could not remember or could not tell that the application didn’t have the photograph of the person who stood in front of her. Here we have Azque, who is apparently telling the truth, and does not remember Oswald as being there. This is, again, an example of people, not having good memories of what was not a significant event when it occurred; and having to go back later and interpret it in retrospect. I believe Sylvia Duran. I disbelieve Azque. On the other hand, the trip remains significant, as an event in Oswald’s life. Why did he go to Mexico City? Did he make statements in the Cuban embassy indicating that he might kill the President? Did he have associations in Mexico City, and if he had associations in Mexico City, then were those associations part and parcel of his associations in Dallas? Among the people that Oswald met in Mexico City was a man named Valery Kostikov in the Soviet embassy. He was in that directorate of the KGB, to which he was assigned, which in the Russian phrase means ‘wet affairs’: assassinations. Here you have, in September, a direct contact between Lee Harvey Oswald, a defector to the Soviet Union, a committed Marxist, and a man whose function was to set up assassinations. He returns to the United States and within just about a month, kills the President of the United States. The committee took very seriously the critics with suspicions about the Mexico City trip. The suspicion was that Oswald didn’t make it at all. That there was an imposter, attempting to frame him in Mexico City. Had that been established, it would indicate a sophisticated effort to frame Oswald, which would immediately draw attention to American intelligence. We obtained from Cuban officials the visa application with his photograph on it and his signature. We verified that it was Oswald’s signature. Oswald, therefore, was in Mexico City. At this point in time, New Orleans was corrupt, and the principle figure behind that corruption, gambling etc, was Carlos Marcello. Oswald at this time brushed up against organized crime in its worst forms. Oswald’s uncle, a man named Charles “Dutz” Murret, [was] an ex-prize fighter and promoter who was also a bookie. He was under the control of Carlos Marcello, who at that time was the head of the Mafia in New Orleans. These were the people who were in the sphere of Lee Harvey Oswald’s life as a child. When Oswald and his mother returned to New Orleans they lived on Exchange Place above a pool hall. That street at that time was one den of iniquity after another. Strip joints, gambling joints. It was a place where every hustler and pimp in New Orleans plied his trade. Oswald grew up in a community and environment of crime and corruption. He went to Beauregard High School. It was a place that molded a character; it was a place that distorted a character. There is a story told by a man named Edward Becker, of a conversation with Carlos Marcello, in which Carlos Marcello talks about getting, he speaks in Sicilian, “getting the stone out of my shoe,” and talking about getting a nut to kill, not Bobby Kennedy, who was his nemesis, but John Kennedy, who was the man behind the nemesis. We took that statement very seriously and investigated Becker and Becker’s credibility. Was he associated with the people he says he was? Was he in New Orleans at the time and place he says he was? Our judgment was that Becker’s story was true. More significantly, in recent days, a man named Frank Ragano, who was a long-time lawyer for Santo Trafficante, tells the story that Trafficante, shortly before he underwent a serious operation, confided to him that “Carlos messed up.” He said that “we should have killed Bobby and not Giovanni.” This evidence is of extraordinary significance. The question is whether you can get an answer with an ultimate sense of confidence. Everybody wants to know what really happened. Will we ever really know? And I think the answer is we will know with varying degrees of confidence. Oswald killed the President. We know that beyond a reasonable doubt. We know that Ruby killed Oswald. We know that beyond a reasonable doubt. Now the question is: Did either have help or did neither have help? And it’s there that we begin having less of a degree of confidence in our judgments. And if you want to posit conspiracy, you must show associations. And in his simple surroundings, such as David Ferrie, are people in both organized crime and with anti-Castro Cubans. If Oswald is an enigmatic character, and he is, David Ferrie is his soulmate. David Ferrie is a man, not well educated, but described as brilliant. Apparently a homosexual. An airline pilot for Eastern Airlines and a good pilot. A man who is very active in the anti-Castro Cuban movement. A man who is close to Carlos Marcello. He is also, significantly, a man who, in the 1950s, headed up a civil air patrol unit in which Lee Harvey Oswald apparently was a member. Anybody who looks at this has to be candid enough to say that the evidence cuts in two directions. When he is in Dallas, he apparently is alone, or largely a loner. You don’t have to separate the anti-Castro Cubans and organized crime. There are substantial overlaps. Santo Trafficante [who some claim had met Ruby] from Tampa was in Cuba, and many of his associates in illegal businesses are Cuban and were people who were thrown out of Cuba by Castro. They’re both organized crime and anti-Castro Cubans. On the other hand, not every anti-Castro Cuban is involved in organized crime. Indeed most are not. They were legitimate ex-patriots. But when you move in to New Orleans, and you move into the circle of Lee Harvey Oswald, a loner, connected to Marxist causes, one who might assassinate the President out of a political position on the left. This colors the assassination as a political position on the right. It is contradictory. There is no doubt that Oswald is seen with Ferrie. But what is the significance? The address on the back of it, 544 Camp Street is either a coincidence, or potentially takes significance from the fact that in that same building there is a private detective agency by a man named Guy Bannister. And Guy Bannister is certainly not pro-Castro; he’s an ex-FBI agent from New York who is violently anti-Castro and working closely with the anti-Castro Cuban groups, to overthrow Castro. If Lee Harvey Oswald is connected to Bannister, then the pro-Castro activity seems to be a sham. If it is a sham, it’s hard to see where the second conversion occurred. If Oswald’s original conversion to Marxism was real and the Soviet Union was a real defection, whence comes the being knocked from his horse on the way to Damascus in New Orleans? Was there a sudden radical conversion to the anti-Castro position? It’s difficult to reconcile these things out. But there’s no satisfactory explanation. Every effort was made, both by the FBI in 1963, and by the committee, to establish that the pro-Castro activity in New Orleans had a larger group behind it. Apparently he had a unit of the ‘Fair Play for Cuba’. Apparently it had no membership other than Lee Harvey Oswald himself. Indeed, when he distributed the literature, one of the two people was hired. The other person we’ve never been able to identify. There’s just no evidence that Lee Harvey Oswald had other associates in the pro-Castro activity. Oh it surely argues for it being a shell game. Is it a shell game by Lee Harvey Oswald, or a shell game by Lee Harvey Oswald on behalf of someone else? You answer that, I think, not by what happens in New Orleans, but by the consistent train of his character. From Japan to the Soviet Union, to New Orleans to Mexico City, of acting, at least for his own perspective, out of a Marxist or a pro-Castro perspective. I’m not terribly sure that you can reconcile them. The most consistent thing through Lee Harvey Oswald’s life is his Marxist position. The effort to talk to the anti-Castro Cubans is an effort either by Lee Harvey Oswald, in his crazed mind, to be engaging in subterfuge activity, or it is, in fact, Lee Harvey Oswald acting on behalf of someone else, infiltrating anti-Castro activities. The true Lee Harvey Oswald is the Marxist. Oswald engages in a number of activities in New Orleans. He distributes ‘Fair Play for Cuba’ literature. He apparently is the head of a unit of ‘Fair Play for Cuba’. He goes on a radio station and debates on behalf of Castro. All of this indicates his Marxist pro-Castro leanings. At the same time, Lee Harvey Oswald makes a contact with Carlos Bringuier who is an anti-Castro Cuban leader in New Orleans and this is documented and unquestioned. Which is Lee Harvey Oswald? Is he pro-Castro? Is he anti-Castro? This man is all things to all people. What interpretation can you make of him consistent with that terrible event in Dallas on Nov. 22? Any effort to explain what happened in Dallas must explain Lee Harvey Oswald, and Lee Harvey Oswald is a mystery wrapped up in an enigma, hidden behind a riddle. Your explanation of him tells me more about you than about the evidence about his life. He is not an easy man to explain. It’s almost as if there was a foreground, background illusion. Here’s Lee Harvey Oswald, a Marine, working in a secure institution, having a security clearance. At the same time, you find him reading Marxist literature, defecting to the Soviet Union. Is that a conversion from being an American hero to American defector? Is it what it appears to be? You see him go to the Soviet Union. Is he going as a defector or is he going as an agent for the American government? You see him returning to this country. In New Orleans, you see him in contact with anti Castro Cubans on one day, offering to help them, two days later you see him distributing pro-Castro literature. Here you have him meeting with Sylvia Odio, who is, in the context, an anti-Castro Cuban. Within days, he’s meeting with high-level people involved in assassinations in the Soviet Embassy. You see him meeting with people in the Cuban Embassy. You see him returning to this country. You have him having conversations on the phone with people in Spanish. The crucial question in 1963 is the crucial question in 1993. It’s not did Oswald kill Kennedy? He did. It’s whether he had help in some way. Was there a conspiracy? Conspiracy requires association. Anybody who’s going to make a conspiratorial interpretation of the assassination must connect Lee Harvey Oswald to the group that they posit as the co-conspirators. Therefore, what you begin doing is taking Lee Harvey Oswald and asking in concentric circles: Who were his associations? Who were their associates? And you then try to interpret those associations as conspirators. Therefore, every connection to Oswald — from the Soviets to the pro-Castro Cubans – becomes a possible conspirator. Marina’s story is that Oswald shot at Walker. Is there evidence that can corroborate that? There are two items. One is a note found by Ruth Paine undated, but is consistent with Marina’s story. Second, the bullet recovered from Walker’s house. The evidence apart from Marina’s testimony is substantial. The bullet recovered is consistent with Mannlicher-Carcano ammunition. We did a study on that. It [the shooting] tends to undermine his possible connections to the KGB, to the pro-Castro Cubans or the anti-Castro Cubans and indeed even to organized crime. Here is a man off shooting people almost at random. How then is he the instrument through which a sinister conspiracy brought down the President of the United States? On the other hand, that evidence can be read another way: It shows his propensity to violence and it also shows that he can be ideologically manipulated into taking this act. The weapon used to kill the President of the United States is a Mannlicher-Carcano. The weapon used to fire at General Walker was also apparently a Mannlicher-Carcano. The bullet recovered from Walker’s house can be scientifically linked to Mannlicher-Carcano ammunition. Oswald’s rifle was a Mannlicher-Carcano and to show that the rifle that fired at Walker is a Mannlicher-Carcano is to give some corroboration to Marina’s story. The story itself is significant because it shows that Lee Harvey Oswald has a propensity for violence up to and including homicide and acts out of a political motivation. Well. there is some evidence that in the Russian community in which Oswald was a participant, Walker was identified as a right-wing figure, and some suggestions were made that this would be a fit candidate for shooting. Those conversations had the effect of stimulating him into acting, either by himself or with other people. We also took very seriously the possibility that Oswald may have had companions in the Walker shooting. There are police reports of two cars driving away, and indeed a report from the Walker people that somebody in a car may have been surveilling the housing before the assassination effort. The significance here is obvious. Lee Harvey Oswald didn’t have a car and didn’t drive. If Oswald was in these cars and fled the scene in that fashion, he had companions. And if he had companions in the Walker assassination effort, the inference can be drawn that he had companions in the Kennedy assassination.The two assassinations would be part of a common effort. That is to say, a first failed effort to bring down Walker, a symbol of right-wing America. The Kennedy assassination being a similar effort to bring down the leader of right-wing America, the President of the United States. Marina tells another, almost bizarre story, that Nixon was in town and that she had to lock him in the bathroom to prevent him from going downtown and taking a shot at Nixon. This evidence again can be read two ways. A propensity to kill any public figure that would tend to make him a loner. A propensity to kill, and the possibility that he can be manipulated by other people. I wish the evidence was more solidly in one direction to show one interpretation as opposed to the other. There are three photographs of Lee Harvey Oswald taken by Marina, each holding a rifle and some Communist Party literature. When Oswald himself was shown those photographs, he denied that he owned a rifle and denies that this was him in it. He said his head was pasted on it. The critics of the Warren Commission seized on this and did studies of shadows. The nature of his chin, with a cleft here and shadows in the background led to arguing that the photographs were composites or fakes. We took very seriously these charges. Surely, if they were faked, it would be an indication of the most sophisticated effort to frame Lee Harvey Oswald. We had our first bit of evidence examined by the Warren Commission. Marina testifies that she took it; she identifies the camera that she used. The FBI was able, to the exclusion of all other cameras, tie that camera to these photographs. Assuming that all that’s fake, we went further with a photographic panel and studied very carefully all of the testimony about the shadows being inappropriate. Our photographic panel indicated in great detail that these shadows were not inappropriate, that the critics had simply not understood optics accordingly. But for me at least the single most important counter indication of a faked photograph is that we uncovered in the possession of George de Mohrenschildt a third photograph. On the back of that photograph is an inscription in Lee Harvey Oswald’s handwriting, including his signature. We had a panel of handwriting experts look at his handwriting over his whole life, including on that photograph, and their conclusion was without any doubt that Lee Harvey Oswald had signed that photograph. 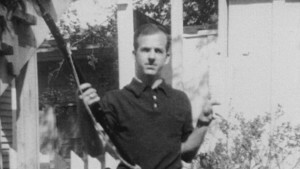 Lee Harvey Oswald in this photograph is holding the weapon that can be identified as the weapon found in the depository. And that weapon, in turn, can be ballistically linked to the exclusion of all others with the bullets that killed John Kennedy. The photograph itself does several things. One: it self-identifies Oswald as associated with the Marxist literature. He’s holding in his hand the Daily Worker and the Socialist Worker Party literature. Incidentally, it also indicates Oswald’s confusion: These two branches of Marxism are hardly friends. The rifle itself can be identified as the rifle used in the assassination. It therefore directly links, in a photographic way, Oswald with the gun that killed Kennedy. How do we know he wasn’t just holding a rifle of the kind used in the assassination? On the committee, we did a detailed microscopic examination of the rifle in the photograph and compared and contrasted it to the rifle seized from the Texas School Book Depository that can be ballistically linked to the bullets that killed the President. You can identify unique physical characteristics of this rifle to the exclusion of all others between the photograph and the rifle that’s now in the National Archives. There are microscopic, unique indentations. Based on them, if you have the negative and the camera you can — just like you can match the grooves in a bullet to the grooves created by the barrel ballistics — you can match a camera and a negative or a photograph. That’s precisely the technique that the FBI employed. The details of it are set out for all to read in the Warren Commission hearings and report. We undertook a similar analysis on the committee and the photographic panel’s report is set out in our hearings as well. This is science. This is not memory, this is not perception, and this is something that anybody with the expertise can replicate for themselves. The committee focused, among other things, on (1) Oswald, (2) in New Orleans, (3) in the months before he went to Dallas, and, in particular, (4) his attempt to infiltrate an anti-Castro group, the Directorio Revolucionario Estudiantil or DRE. These were crucial issues in the Warren Commission’s investigation; they were crucial issues in the committee’s investigation. The Agency knew it full well in 1964; the Agency knew it full well in 1976-79. Outrageously, the Agency did not tell the Warren Commission or our committee that it had financial and other connections with the DRE, a group that Oswald had direct dealings with! What contemporaneous reporting is or was in the Agency’s DRE files? We will never know, for the Agency now says that no reporting is in the existing files. Are we to believe that its files were silent in 1964 or during our investigation? I don’t believe it for a minute. Money was involved; it had to be documented. Period. End of story. The files and the Agency agents connected to the DRE should have been made available to the commission and the committee. That the information in the files and the agents who could have supplemented it were not made available to the commission and the committee amounts to willful obstruction of justice. Obviously, too, it did not identify the agent who was its contact with the DRE at the crucial time that Oswald was in contact with it: George Joannides. During the relevant period, the committee’s chief contact with the Agency on a day-to-day basis was Scott Breckinridge. (I put aside our point of contact with the office of chief counsel, Lyle Miller) We sent researchers to the Agency to request and read documents. The relationship between our young researchers, law students who came with me from Cornell, was anything but “happy.” Nevertheless, we were getting and reviewing documents. Breckinridge, however, suggested that he create a new point of contact person who might “facilitate” the process of obtaining and reviewing materials. He introduced me to Joannides, who, he said, he had arranged to bring out of retirement to help us. He told me that he had experience in finding documents; he thought he would be of help to us. I was not told of Joannides’ background with the DRE, a focal point of the investigation. Had I known who he was, he would have been a witness who would have been interrogated under oath by the staff or by the committee. He would never have been acceptable as a point of contact with us to retrieve documents. In fact, I have now learned, as I note above, that Joannides was the point of contact between the Agency and DRE during the period Oswald was in contact with DRE. That the Agency would put a “material witness” in as a “filter” between the committee and its quests for documents was a flat out breach of the understanding the committee had with the Agency that it would co-operate with the investigation. The committee’s researchers immediately complained to me that Joannides was, in fact, not facilitating but obstructing our obtaining of documents. I contacted Breckinridge and Joannides. Their side of the story wrote off the complaints to the young age and attitude of the people. They were certainly right about one question: the committee’s researchers did not trust the Agency. Indeed, that is precisely why they were in their positions. We wanted to test the Agency’s integrity. I wrote off the complaints. I was wrong; the researchers were right. I now believe the process lacked integrity precisely because of Joannides. For these reasons, I no longer believe that we were able to conduct an appropriate investigation of the Agency and its relationship to Oswald. Anything that the Agency told us that incriminated, in some fashion, the Agency may well be reliable as far as it goes, but the truth could well be that it materially understates the matter. What the Agency did not give us none but those involved in the Agency can know for sure. I do not believe any denial offered by the Agency on any point. The law has long followed the rule that if a person lies to you on one point, you may reject all of his testimony. I now no longer believe anything the Agency told the committee any further than I can obtain substantial corroboration for it from outside the Agency for its veracity. We now know that the Agency withheld from the Warren Commission the CIA-Mafia plots to kill Castro. Had the commission known of the plots, it would have followed a different path in its investigation. The Agency unilaterally deprived the commission of a chance to obtain the full truth, which will now never be known. Anyone interested in pursuing this story further should consult the reporting by Jefferson Morley of the Washington Post. See, e.g., Jefferson Morley, “Revelation 19.63” Miami New Times (April 2001).